Travelling to SaiYokNoi is not difficult. 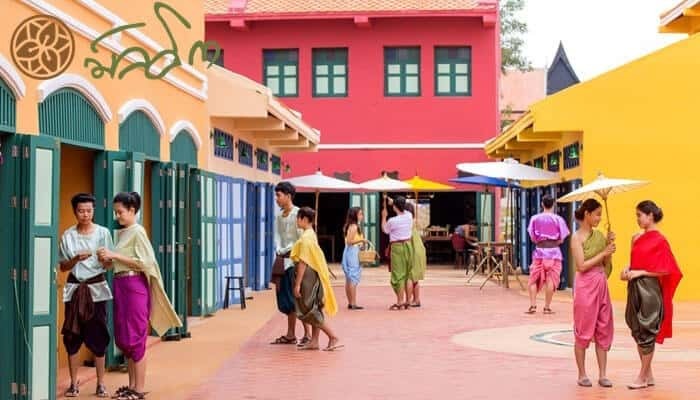 From Natee The Riverfront Hotel Kanchanaburi, take main road number 323 (Kanchanaburi – SaiYok – Thong PhaPhum). SaiYokNoi is on the right on the 46th kilometer. 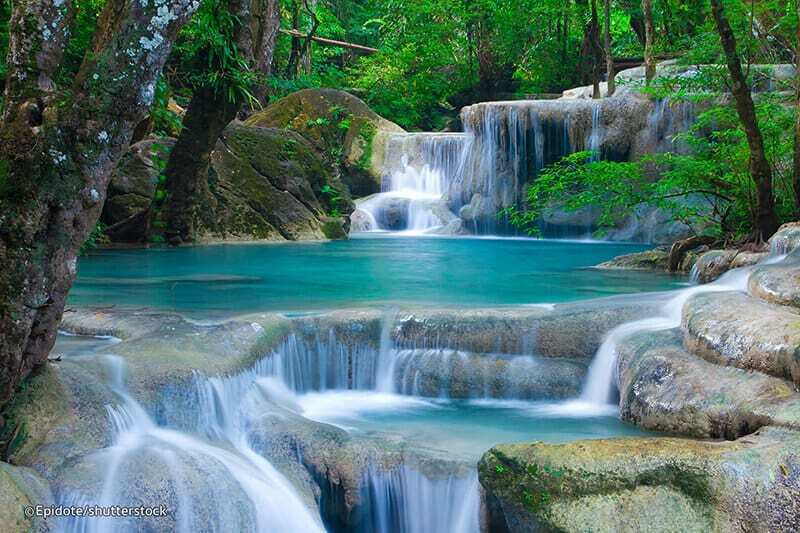 If continue on, the road will lead to Thong Phar Phum. 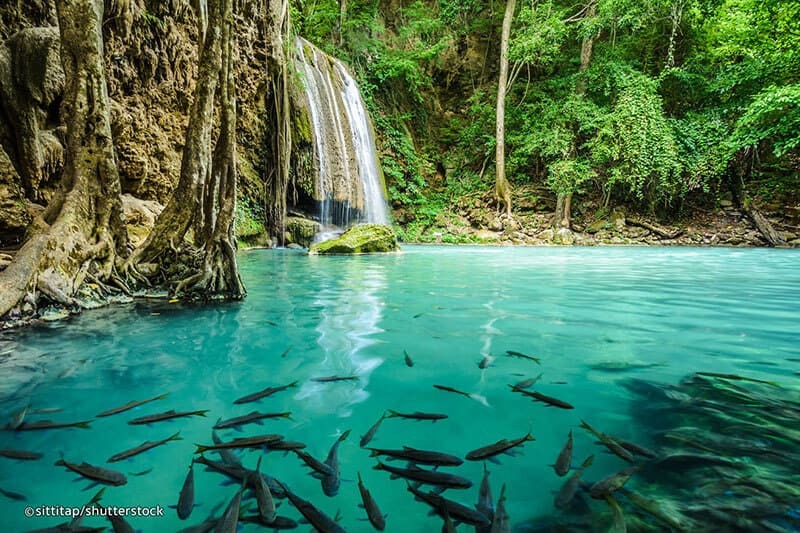 At the 82th kilometer, there is a crossroad that if driving to the left you will find the office of National park, SaiYok and SaiYokYai waterfall away from Kanchanaburi down town for around 65 kilometers. 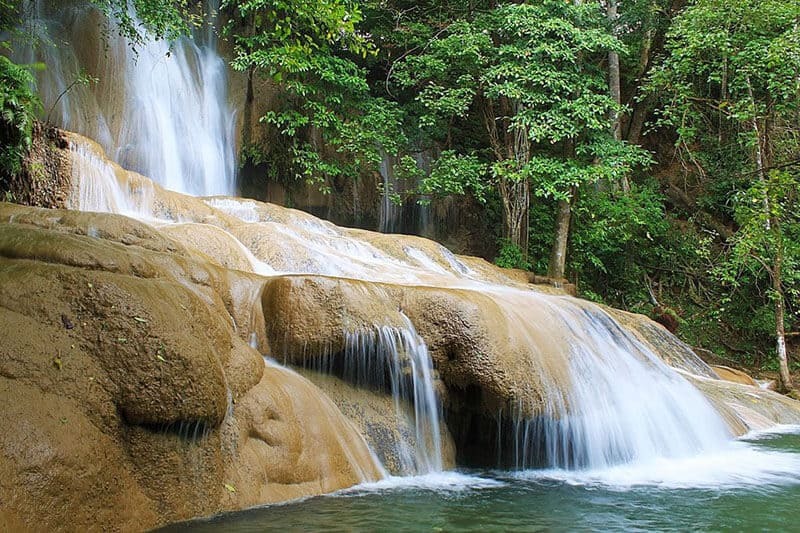 From the parking lots, there is a walkway for waterfall sightseeing up to the waterfall’s 7th level. 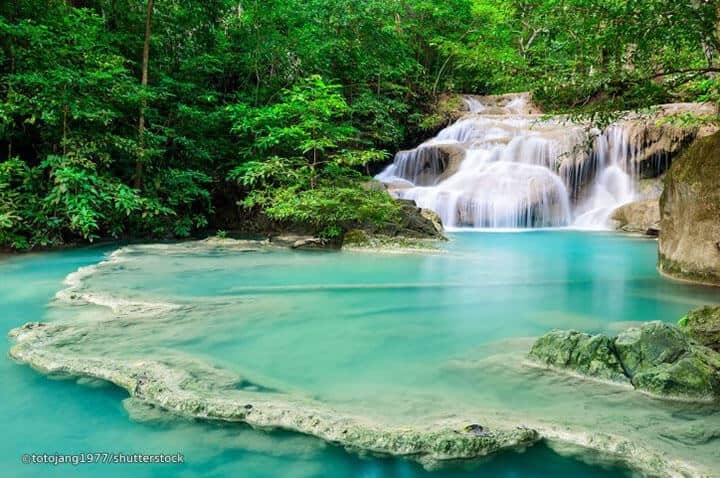 Erawan Waterfall is recognized as one of the most beautiful waterfalls in Thailand. 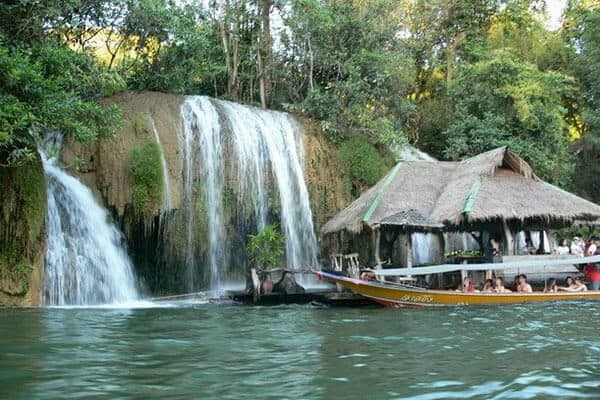 Located in the Tenasserim Hills in Kanchanaburi Province, some 60 kilometer from Natee The Riverfront Hotel Kanchanaburi, Erawan has seven separate tiers and is part of a national park of the same name. 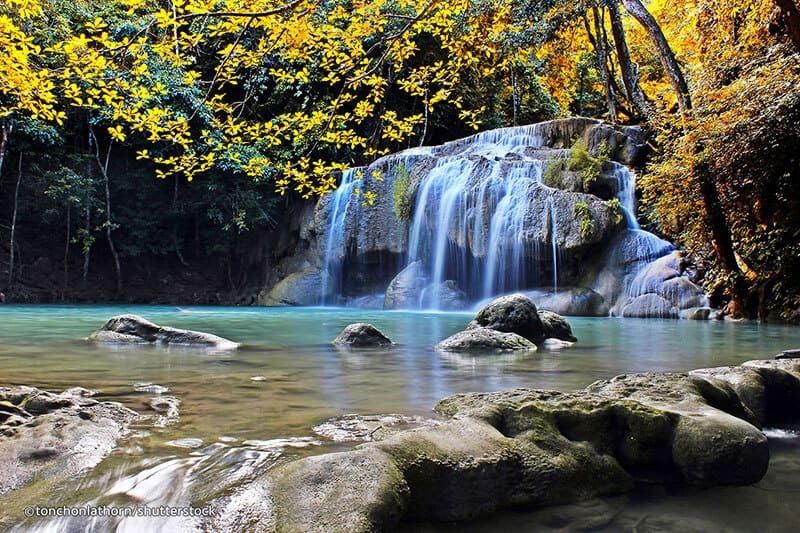 Besides the waterfall, the park hosts a handful of limestone caves offering plenty of exploration opportunities to visitors. Mallika R.E.124 will definitely give you a wonder experience. 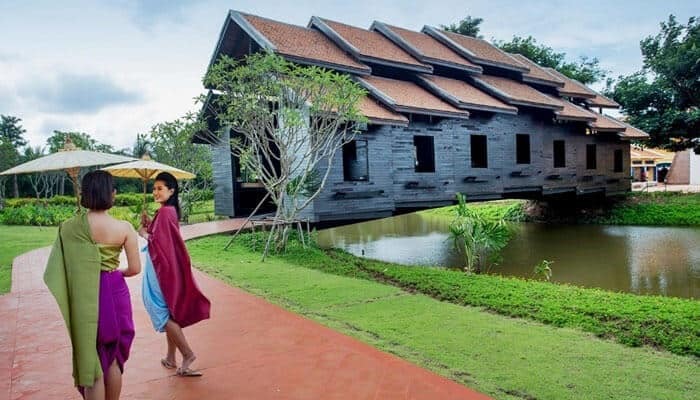 It is easy to access, there are only 40 kilometers faraway from Natee The Riverfront Hotel Kanchanaburi. At Mallika R.E.124 you will find some of the most iconic buildings during the time which before this, were only remain in the picture. 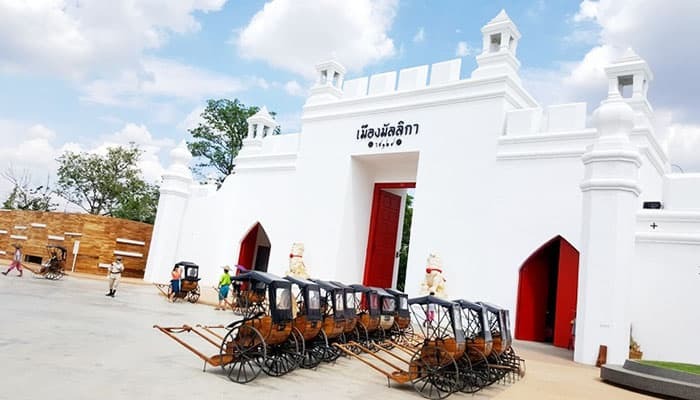 Hop on a rickshaw or walk around in Thai traditional dress to closely observe living way of the locals and enjoy picturesque cityscape around the Chao Phraya Basin of Siam during the reign of King Chulalongkorn.